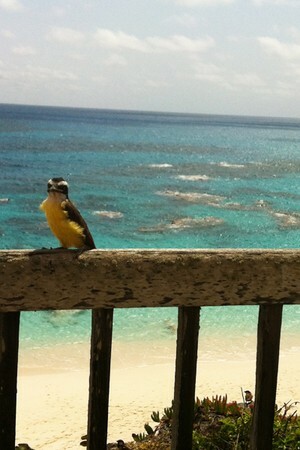 Popupla assistant editor Berit Baugher just returned from a trip to Bermuda. Was it your first time? Yes, and I already want to go back! I had no idea how quick the flight is (less than two hours from New York). Why did you go? For work. 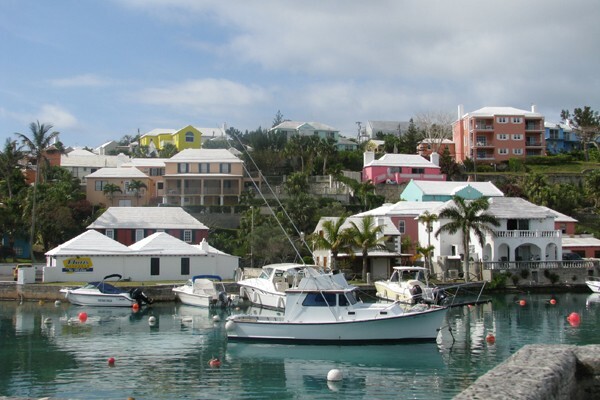 The Bermuda Department of Tourism wanted to show off their beautiful island and its hotels. What was the best tip you got before you left? I didn't get any — no one I spoke with had been, which I'm surprised about, given how close it is. What's the #1 tip you'd give a friend who wanted to go? If you're flying from the East Coast of the United States, don't let the proximity fool you. It may be a short flight, but it's still international. Give yourself plenty of time at the airport. Where did you stay? in Southampton Parish. 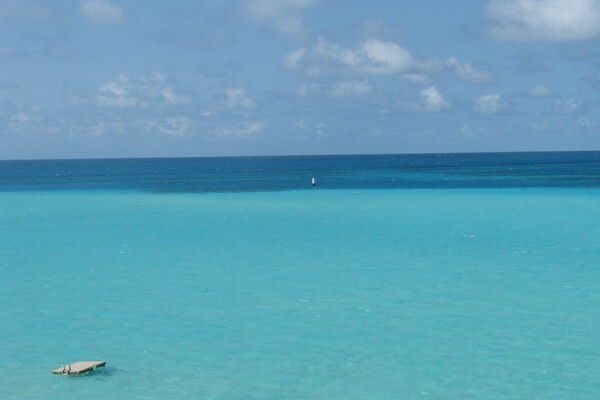 It's perched on a cliff overlooking the Atlantic and is one of the island's few beachside hotels. The laid-back décor and vibe make it a cozy place to hunker down for a few days of relaxing. They have three restaurants, an infinity pool, and an extra friendly staff. But the private beach was by far the best part. What did you do? We saw a lot of hotels, ate a ton of food (maybe too much), and snuck in a few of the local sites and an afternoon on the beach. Were you there for the right amount of time? Yes and no. It was nice to see how much you could do in a short amount of time, but I could have stayed longer.There's a lot to see and I only scratched the surface. How did you get there? JetBlue flies direct from JFK. Once on island, we had a driver from . Ask for Ray: He's friendly and knows everything there is to know about Bermuda, so you're getting a ride as well as a mini-tour of the island. The view from my room at The Reefs. 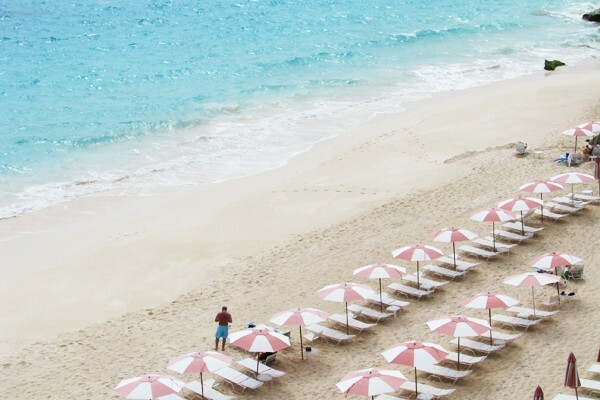 This was especially great: Waking up to an amazing view of the water and cute pink and white striped umbrellas dotting the beach at my hotel, . The statue of Johnny Barnes. But this wasn't: Missing out on seeing Johnny Barnes (star of the video), a local celebrity who stands at the roundabout near Hamilton and waves to commuters as they drive by. He's been there every morning, Monday through Friday, since 1986. We drove past him, and I was the only one not to catch a glimpse. 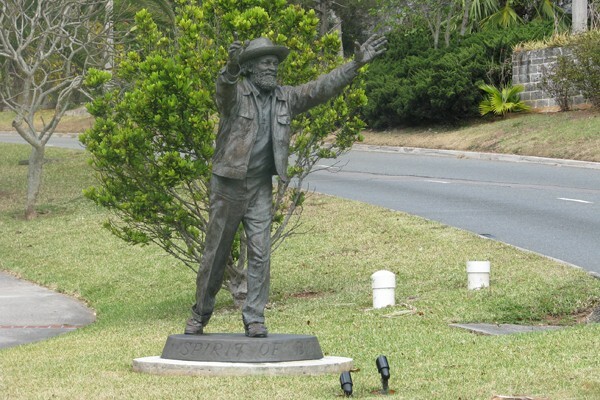 I saw the statue dedicated to him, but it's not the same. 1. Meal or meals: My entire meal at , a restaurant on Hamilton's Front Street. I had the steak, which was great, but I'm a sweets person, so dessert was my favorite. They're known for their baked vanilla bean cheesecake, and it was insane, as was hot molten chocolate cake. 2. Neighborhood to explore: , which has bright colored buildings and quaint cobblestone streets. 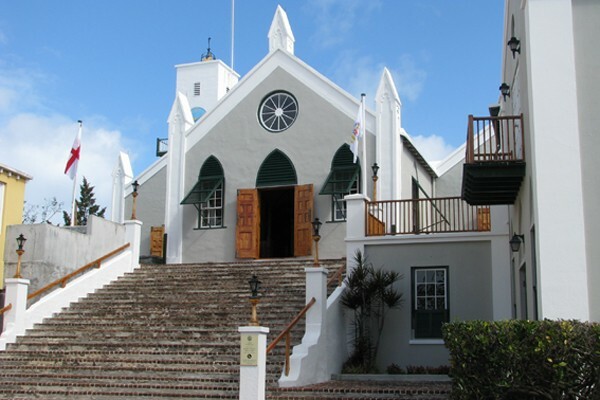 It was Bermuda's first capital and is home to , the oldest continually used Anglican Church in the western hemisphere. Crystal Cave, Bermuda's famous subterranean cavern. 3. Site/place/thing you did: . 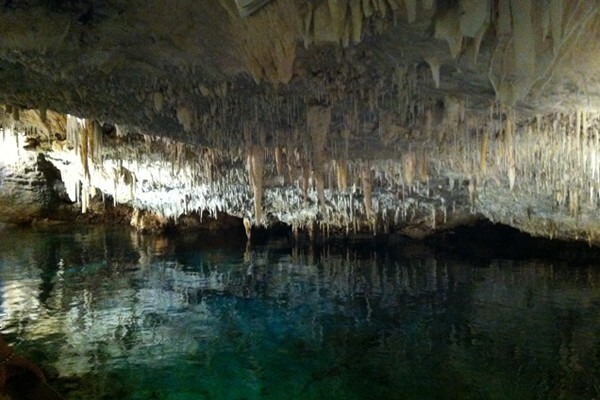 An underground cave filled with crystal stalactites and stalagmites surrounding a clear lake. Totally touristy, but it's spectacular and doesn't take much time to visit. What's the local specialty? ! It's Bermudia's national drink (along with the ) made from fruit juices and local rum. It's delicious and slightly dangerous because you can't taste the alcohol. One place you didn't get to visit, but want to: Bailey's Ice Cream Parlour. A cute key-lime-pie green cottage that serves locally made ice cream. We passed it on our way to and from the airport. 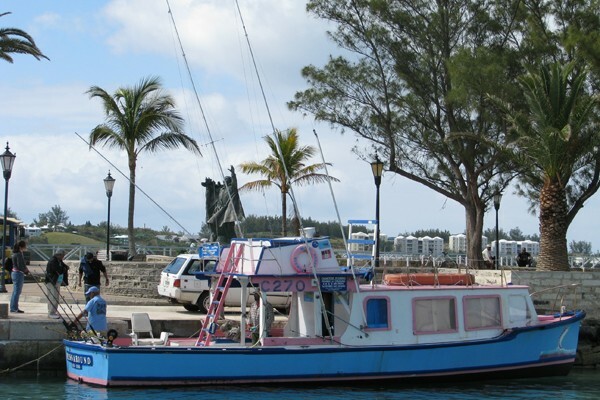 A local fishing boat in St. George. 1. Glad you packed: Pants and a sweater. It's still early in their season, so mornings and evenings are chilly, especially when eating near the water. 2. Didn't need: My computer! We were so busy that I hardly used it. 3. Brought back: I didn't get a chance to do any shopping, but the big things to bring back are Bermuda shorts, from the , , and , a condiment used on the local fish chowder. Houses in various pastel shades. Would you go back? Definitely! It's close enough to go for a long weekend and has a completely different vibe from other islands that are a similar distance to New York. Any surprises? The short distance from New York and the general look and feel of the island. The locals take a lot of pride in their homes, so rarely do you come across a building or yard that isn't well cared for. The stunning view from Pompano Beach Club. What was your Kodak moment? The view of the water from is incredible. It went from a really light turquoise to a deep cerulean blue. 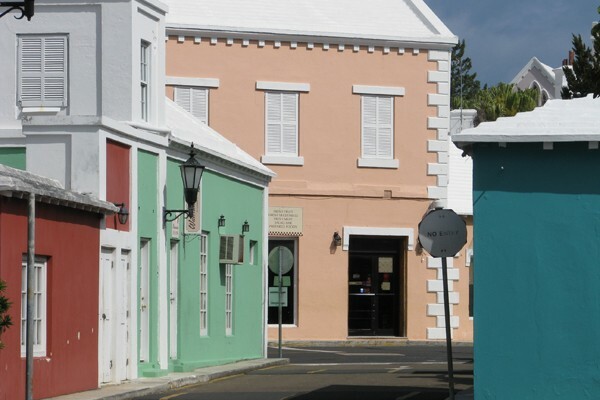 Colorful houses lining the streets of St. George. You can't stop thinking about: The fact that their speed limit is 22 mph, and the distressed colonial architecture and beautiful landscaping. You feel like you're in an Anthropologie catalogue. The island is covered in tropical plants and brightly painted cottages with white roofs. Lemon yellow, peach, salmon pink — even the churches come in sea-foam green and turquoise. Driving around the island was my favorite part of the trip because you see all the houses and gardens. What really stood out were the thoughtful details like hand-painted address numbers, shutters in contrasting colors, and the many different styles of trim that adorn each house.